The 2017 Lamborghini Huracan 580-2 Spyder is now available in North Miami Beach, FL and no photographs do it true justice. 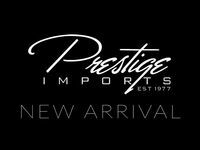 In order to fully appreciate the Spyder, one must come in and visit Prestige Imports and see this masterpiece of machinery for themselves. The power of a V10 engine, a spectacular interior and a jaw-dropping exterior are just a few of the many reasons why the Huracan 580-2 Spyder is one of the most impressive sports cars in the world today. This rear-wheel drive coupe is concealing a V10 engine that produces a ridiculous 571 horsepower and 398 pound-feet of torque. The same engine also earns the 508-2 Spyder a 0-60 miles per hour (mph) acceleration rate of 3.4 seconds with an unreal maximum speed of 201 mph. As for fuel economy, the 2017 Lamborghini Huracan 580-2 Spyder achieves 14 mpg in the city and 20 mpg on the highway. Just wait; that’s only the beginning of how to describe the Spyder. Not only does the Spyder have a remarkably powerful engine, it is also controlled exceptionally well. The Lamborghini Doppia Frizione dual-clutch transmission, for instance, allows for smooth driving throughout all road conditions. In addition, the electromechanical power steering system is very adaptive, as its sensitivity increases at low speeds and decreases at high speeds. At the same time, carbon fiber and aluminum come together to make the chassis, or the body of the car, just as lightweight as it is high-performing. Not done yet, the suspension for the 508-2 Spyder is specifically tuned to best match the vehicle, which further allows for the smoothest rides on any road conditions with any driving style and any driving mode. Every adventure in a Spyder should always be just as smooth as the last. The incredible V10 engine and unmatched driving experience are just a couple of the many reasons why sports car drivers will never be able to fully appreciate the 2017 Lamborghini Huracan 580-2 Spyder until they take it for a test drive and feel that undeniable rush of adrenaline. Schedule one today! Interested in a 2017 Lamborghini Lamborghini Huracan 580-2 Spyder?